But you are a cute geek! MOL! That last look! pure awesome! Geeks rule! Mrrp? Meow! 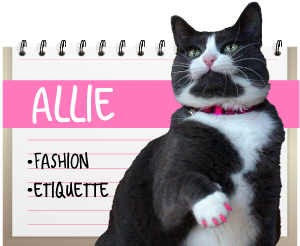 Meowmie Debby uses Libre Office almost 'sclusively. She also uses Word Perfect and Lotus Smart Suite. Duzzat count as geek? I have no doubt you got that thing back where it belongs! You are an extra special geek. Don't eat the cord like my cat bro Bert! I prefer to think of you as a techie, Maxwell! 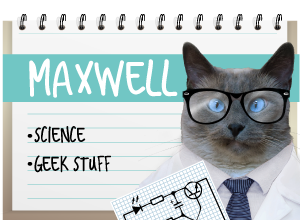 Maxwell,the geeks have inherited the earth, so you're totally *in*, buddy! But how are you going to get your blogging done if you start unplugging things??? You are a very cute geek! I love geeks and you are the cutest I have seen- way better than Leonard and Sheldon. 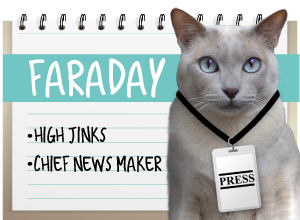 Faraday's just jealous, Maxwell. Don't listen to him. I bet Faraday's the one that unplugged the cord and you were just trying to fix it for your Mom. And you know what? I love you just as you are Maxie. Being a geek is DEFINITELY underrated! Hey, Maxie. Remember, the geeks are the ones that keep things going. Nothing wrong with that. MOL! Seriously, this is too funny! Nothing wrong with being a geek. Just saying!